If you know me and I mean REALLY know me, not on some ole through this blog or Marriage Exposed but have really sat down and chopped it up with me, then you know I can be shallow at times. Well, to be honest, I'm VERY shallow. In fact my wife calls me Shallow Hal, you know like the movie? So the way you look can determine if I'm gonna check for your music...at all. It might not be right but hey, that's how it is. And I can't front, when I first saw Miguel, I thought to myself, "who is the Ritchie Valens, Author Fonzereli dude with a conk? There's no way I'm checking for dude's music." That is...until I heard "Adorn." I was upstairs in the studio working on some music and heard it playing downstairs and I was like "what the hell is that?" (I always leave my TV downstairs on VH1 soul even if I'm not downstairs watching TV) So I come down and rewind it to find out who's song this was and ya'll already know my jaw hit the ground when I found out it was Miguel! The Ritchie Valens dude made this?!?!? Word?!?!? Aiight, so now I gotta check dude out. So after chillin' with his "Art Dealer Chic" EP's for a minute I was officially checking for dude but the question was how's money gonna come on his full length? 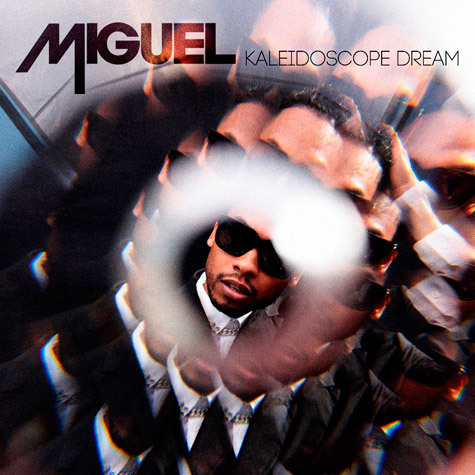 So now that his sophomore album "Kaleidoscope Dream" is on tap, another question becomes is Miguel on his Kentucky one and done jawn or is this dude here for the long haul?